Tinnitus is a condition in which one hears a ringing and/or buzzing sound in the ear without an external sound source, and as a chronic condition it can be associated with depression, anxiety, and stress. Tinnitus has been linked to hearing loss, with the majority of tinnitus cases occurring in the presence of hearing loss. For military service members and individuals who are constantly in an environment where loud noise is generated, it is a major health issue. This figure shows the quinine effect on the physiology of dopaminergic neurons in the substantia nigra, a structure in the midbrain. During this phantom ringing/buzzing sensation, neurons in the auditory cortex continue to fire in the absence of a sound source, or even after deafferentation following the loss of auditory hair cells. The underlying mechanisms of tinnitus are not yet known. In our paper published in the journal Neurotoxicity Research in July 2018, my team and I examined chemical-induced tinnitus as a side effect of medication. Tinnitus patients who have chemical-induced tinnitus comprise a significant portion of all tinnitus sufferers, and approaching this type of tinnitus can help us to understand tinnitus in general. We focused on quinine, an antimalarial drug that also causes hearing loss and tinnitus. We theorized this is due to the disruption of dopamine neurons rather than cochlear hair cells through the blockade of neuronal ion channels in the auditory system. We found that dopamine neurons are more sensitive than the hair cells or ganglion neurons in the auditory system. To a lesser extent, quinine also causes muscle reactions such as tremors and spasms (dystonia) and the loss of control over body movements (ataxia). As dopaminergic neurons (nerve cells that produce the neurotransmitter dopamine) are implicated in playing a role in all of these diseases, we tested the toxicity of quinine on induced dopaminergic neurons derived from human pluripotent stem cells and isolated dopaminergic neurons from the mouse brain. 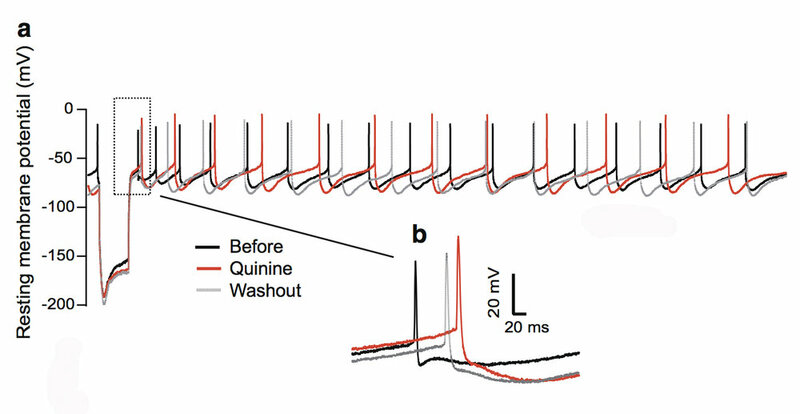 We found that quinine can affect the basic physiological function of dopamine neurons in humans and mice. Specifically, we found it can target and disturb the hyperpolarization-dependent ion channels in dopamine neurons. This toxicity of quinine may underlie the movement disorders and depression seen in quinine overdoses (cinchonism), and understanding this mechanism will help to learn how dopamine plays a role in tinnitus modulation. A 2015 ERG scientist, Xiping Zhan, Ph.D., received the Les Paul Foundation Award for Tinnitus Research. He is an assistant professor of physiology and biophysics at Howard University in Washington, D.C. One figure from the paper appeared on the cover of the July 2018 issue of Neurotoxicity Research. New York, New York – July 11, 2016 - The Les Paul Foundation, whose mission is to honor the legacy of Les Paul, has continued its commitment to provide funding to projects that share Les Paul’s spirit. In 2016, the recipient organizations represent issues that were important to Les Paul and share Les Paul’s vision and innovation with their programs. Birch Creek Music Performance Center of Egg Harbor, WI offers a summer guitar master class that includes Les Paul’s inventions, experiments and recording technique. The Bonaroo Works Fund of Nashville, TN coordinated with the Les Paul Foundation to present the first ever Les Paul Spirit Award. The Bonaroo Works Fund supports education, music and arts programs for children or communities, protection of the environment and environment sustainability, and the arts/humanities in middle Tennessee. The Boys & Girls Clubs of Martin County of Hobe Sound, FL weaves Les Paul’s contribution to rock and roll into their Les Rock program. Youth, ages 8 – 18, learn about Les’ contribution to music production including multi-tracking. Camp Spin Off Foundation of Las Vegas, NV, provides 13-17 year olds an opportunity to learn about music production, remixing, music business and how to DJ. Campers learn how crucial Les Paul’s recording innovations were to how music is produced today. Discovery World in Milwaukee, WI is reinforcing its Les Paul House of Sound exhibit with two new Les Paul-based school programs. First Stage Milwaukee in Milwaukee, WI is sharing Les Paul’s stories of perseverance and innovation with elementary students. Through the dramatic process, students explore Les Paul’s inventions, his influence on the music industry, his creativity and his ability to overcome life’s challenges. Hearing Education and Awareness for Rockers located in San Francisco, CA continues to include Les Paul in its presentations to music and sound arts schools and in its on-line presence. 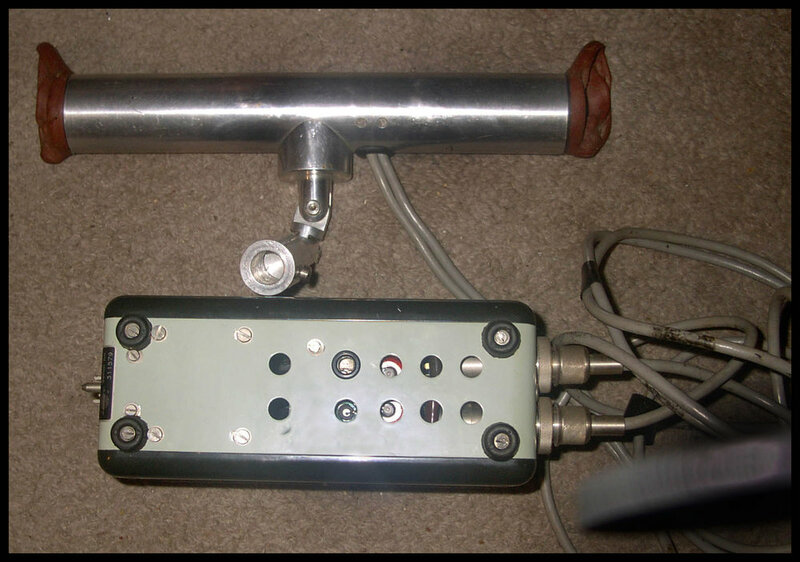 The organization focuses on encouraging youth to handle the power of sound in a safe manner. The Hearing Health Foundation, headquartered in New York, NY, is the largest nonprofit supporter of hearing research. The Les Paul Foundation Award for Tinnitus Research is awarded annually to the most promising researcher studying the cause of ringing in the ears. This year’s recipient is Julia Campbell, Ph.D, Au.D, CCC-A, F-AAA, Assistant Professor, Communication Sciences and Disorders at The University of Texas at Austin. “I am deeply honored to have received a grant award from the Les Paul Foundation to study brain function in the perception of tinnitus. Tinnitus is a disorder that affects millions of people around the world, and yet we still have no way to measure this disorder or a cure for it. Les Paul was an innovator, a dreamer, and a doer who loved to bring new sound into people’s lives. I believe that his legacy is an inspiration to not only better understand tinnitus, but to use this knowledge to improve the quality of life in those it affects,” said Campbell. Legacy Music Alliance in Salt Lake City, UT uses Les Paul’s story from the Les Paul Foundation website in guitar programs, which are taught in Utah’s schools. Musical instruments are purchased and provided to Utah schools for use by students. Litchfield Music Alliance of Litchfield, CT hosts Nicki Parrott of the Les Paul Trio at its master classes. Nicki tells Les’ story and includes his music in her classes. Mahwah Museum Society of Mahwah, NJ will be integrating digital technology into its permanent Les Paul exhibit to increase visitors’ access to documents, photos and videos of Les Paul. Six String Heroes of Jefferson Barracks in O’Fallon, MO use music to help injured veterans heal physical and mental wounds. The group shares Les’ story of perseverance and how Les experienced the healing power of music. VHI Save the Music of New York, NY receives funding for its program to reintroduce music into public schools across the United States through its supply of musical instruments to schools in need. Each school will receive copies of a student-friendly biography of Les Paul for use by students. Waukesha Community Art Project of Waukesha, WI will relay Les Paul’s love of music and his unending curiosity and relentless search for answers to inspire students to ask their own questions and make their own discoveries. Wisconsin School Music Association of Madison, WI will guide student musicians through the maze of music business so that they can succeed and protect their work. Les Paul’s story will illustrate for students how success comes from never giving up. Women’s Audio Mission of San Francisco, CA focuses on advancing women in music production and technology. Les Paul’s story inspires students in their hands-on electronics projects. The organization aims to cultivate the female version of Les Paul. Grant applications are accepted twice a year. http://www.lespaulfoundation.org/programs/. 2015 Emerging Research Grants Approved! Central Auditory Processing Disorder (CAPD): Four grants were awarded for innovative research that will increase our understanding of the causes, diagnosis, and treatment of central auditory processing disorder, an umbrella term for a variety of disorders that affect the way the brain processes auditory information. All four of our CAPD grantees are General Grand Chapter Royal Arch Masons International award recipients. Hyperacusis: Two grants were awarded that is focused on innovative research (e.g., animal models, brain imaging, biomarkers, electrophysiology) that will increase our understanding of the mechanisms, causes, diagnosis, and treatments of hyperacusis and severe forms of loudness intolerance. Research that explores distinctions between hyperacusis and tinnitus is of special interest. Both of our Hyperacusis grants were funded by Hyperacuis Research. Ménière’s Disease: Two grants were awarded for innovative research that will increase our understanding of the inner ear and balance disorder Ménière’s disease. One of the grants is funded by The Estate of Howard F. Schum and the other is funded by William Randolph Hearst Foundation through their William Randolph Hearst Endowed Otologic Fellowship. Tinnitus: Two grants were awarded for innovative research that will increase our understanding of the mechanisms, causes, diagnosis, and treatment of tinnitus. 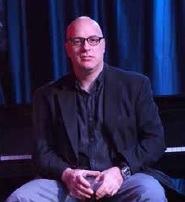 One of the grants is funded by the Les Paul Foundation and the other grantee is the recipient of The Todd M. Bader Research Grant of The Barbara Epstein Foundation, Inc. Hearing Health Foundation is also currently planning for our 2016 ERG grant cycle. If you're interested in naming a research grant in any discipline within the hearing and balance space, please contact development@hhf.org. Noise-induced hearing loss affects anyone exposed to very loud or chronic noise. It doesn’t matter if the “noise” is actually music. It has been estimated that up to half of classical orchestral musicians have hearing loss because of their work in music, practicing or performing up to eight hours a day. Sound levels onstage, no matter the music genre, can reach up to 110 decibels (dB), although it is not usually continuous. That is equivalent to a jackhammer—even if there’s a melody behind it. Researchers at the Nofer Institute of Occupational Medicine in Poland measured the exposure for classical musicians as 81 to 90 dBA (A-weighted decibels, a unit of measure for how humans perceive sound) for 20 to 45 hours a week. In their study published in the International Journal of Occupational Safety and Ergonomics, they estimated that this exposure over the course of a career increases the risk of a hearing loss of 35 dB by 26 percent. At the greatest risk for hearing loss are those in the brass section—horn, trumpet, tuba—as well as those playing percussion, the study found. Prolonged exposure at 85 dB (the sound of heavy traffic) will permanently damage the delicate hair cells of the inner ear, leading to hearing loss. Tinnitus, or ringing in the ears, is another potential problem. Roughly 90 percent of tinnitus cases occur with an underlying hearing loss. Not surprisingly, rock and jazz musicians are not immune. Indeed, there are a number of well-known rock and pop musicians who have publicly discussed their hearing loss and/or tinnitus, among them Sting, Eric Clapton, Neil Young, Phil Collins, and Will.i.am. But hearing loss due to noise (or music) is completely preventable. A related study by the Polish scientists determined that brass players benefitted the most from the use of custom-molded, silicone earplugs with acoustic filters that reduced sound levels. Woodwind, percussion, and string players also benefited. In 2013, the Les Paul Foundation and HHF teamed up to launch the Les Paul Ambassadors program. Guitar great Les Paul was determined to find a cure for hearing loss and tinnitus, and through his foundation’s support of HHF’s Hearing Restoration Project, an international research consortium of top hearing scientists, we have the opportunity to find a cure. Learn about the program and the first Ambassador, Lou Pallo, as well as our other Ambassadors saxophonist Chris Potter and jazz pianist John Colianni. Learn more about NIHL and its risk factors, treatment, and prevention in our new Summer issue of Hearing Health magazine. Chris Potter is a world-renowned saxophonist and composer who has been living with Ménière’s disease, a hearing and balance disorder, for two decades. We’re thrilled that he is our second Les Paul Ambassador. The Les Paul Ambassadors were created with the Les Paul Foundation to honor guitar great Les Paul, who had hearing loss and tinnitus. The program promotes awareness of tinnitus and hearing loss and the search for a cure through our groundbreaking Hearing Restoration Project. “I got Ménière’s disease in my mid-20s. I’ve lost pretty much all my hearing in my left ear—there’s just ringing. It was absolutely terrifying. I was getting episodes of dizziness, and my hearing would go up and down. In the meantime, I’d have to wake up at 5 a.m. and take three flights to get to a performance that night—when I didn’t even know if I would be able to stand up. Potter tried various treatments with different degrees of success. He shares his story in an effort to show solidarity with other musicians who have hearing issues, and to help HHF find a cure for hearing loss and tinnitus. Read more from Potter’s candid interview about being a musician with hearing loss and Ménière’s disease. Learn more about the amazing Les Paul, who died in 2009 at age 94, and the industry-altering advances he made in the world of music production and technology. His dear friend Lou Pallo, a guitar hero in his own right, was our first Les Paul Ambassador.